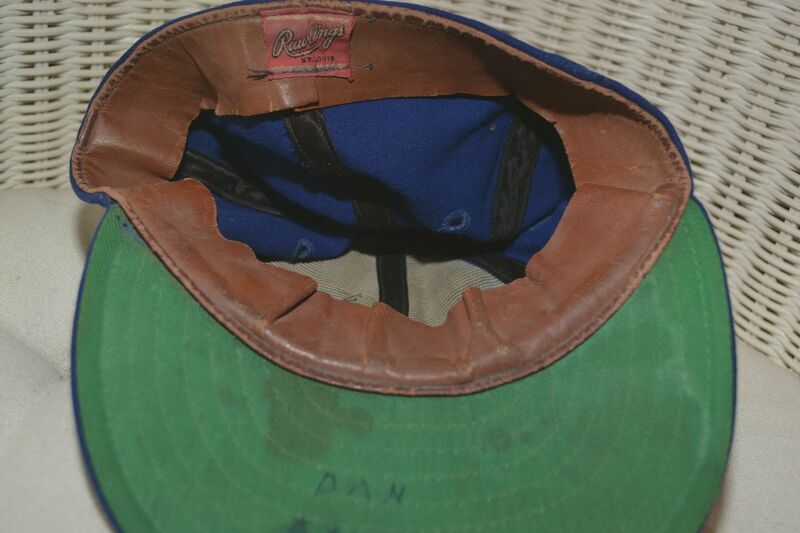 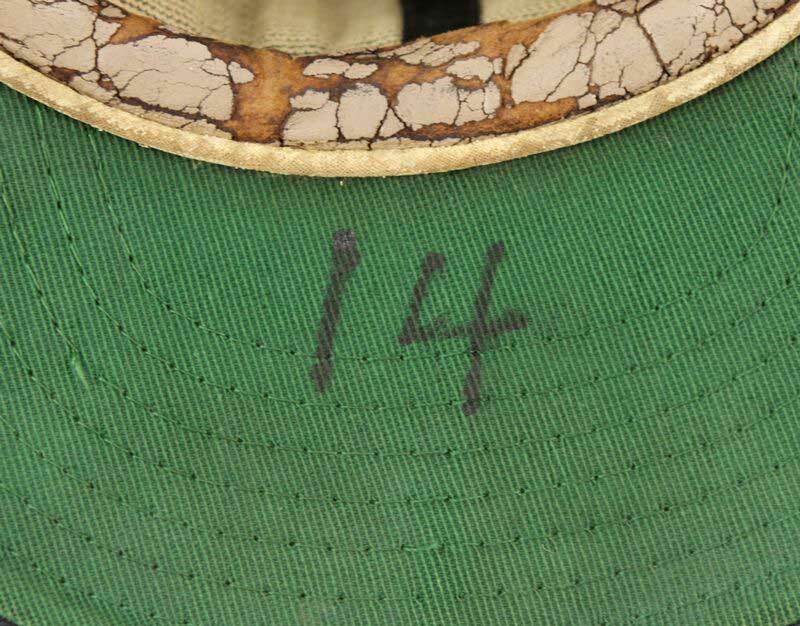 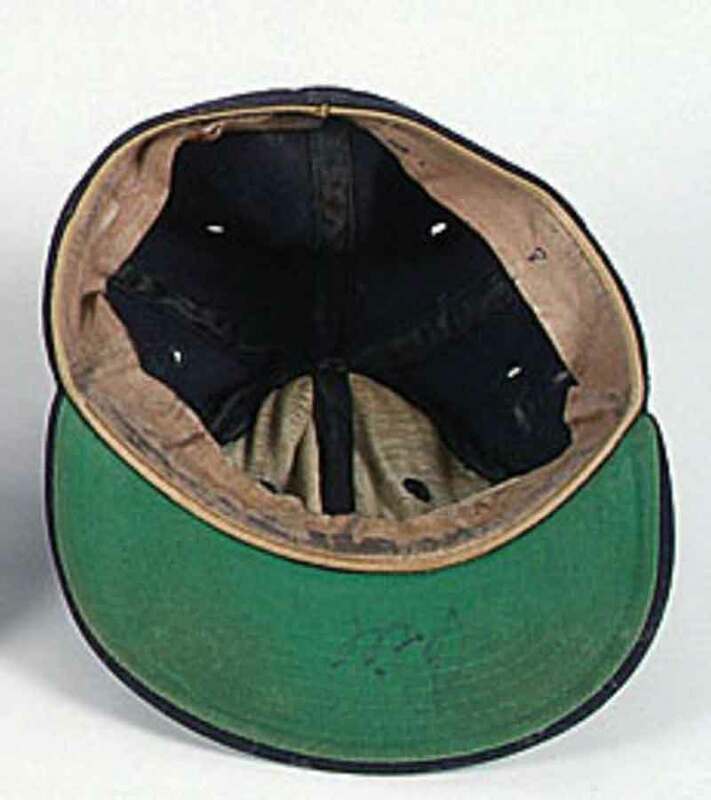 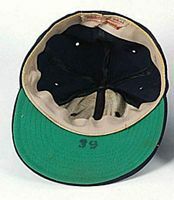 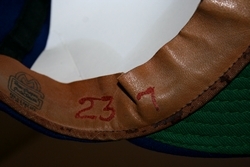 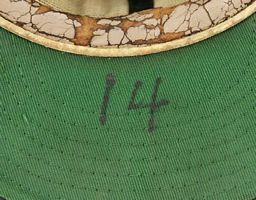 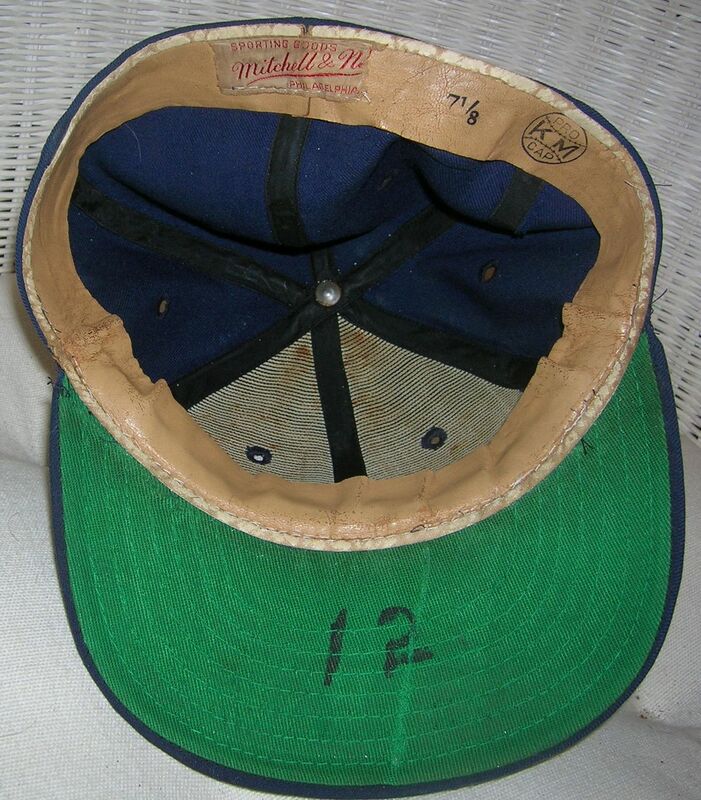 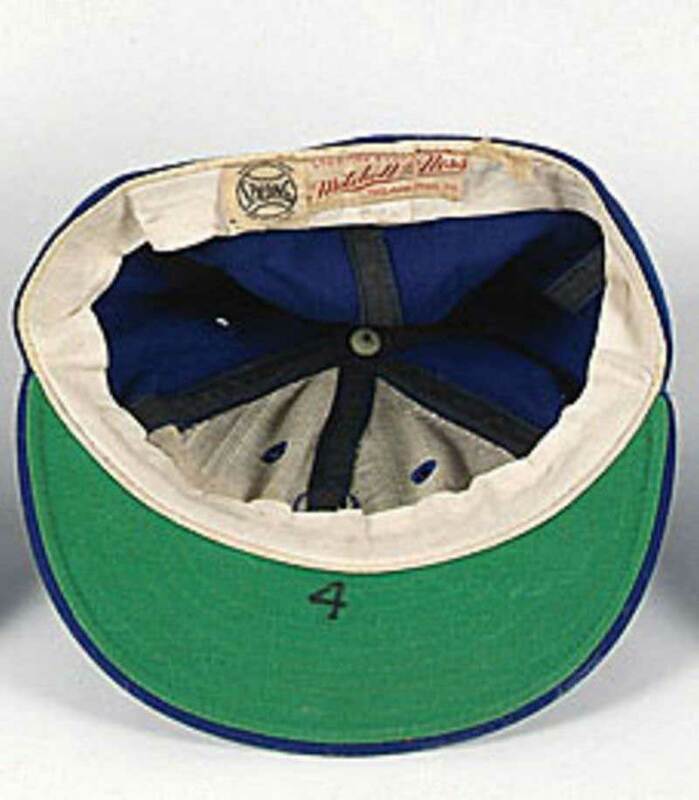 Eddie Plank's cap. 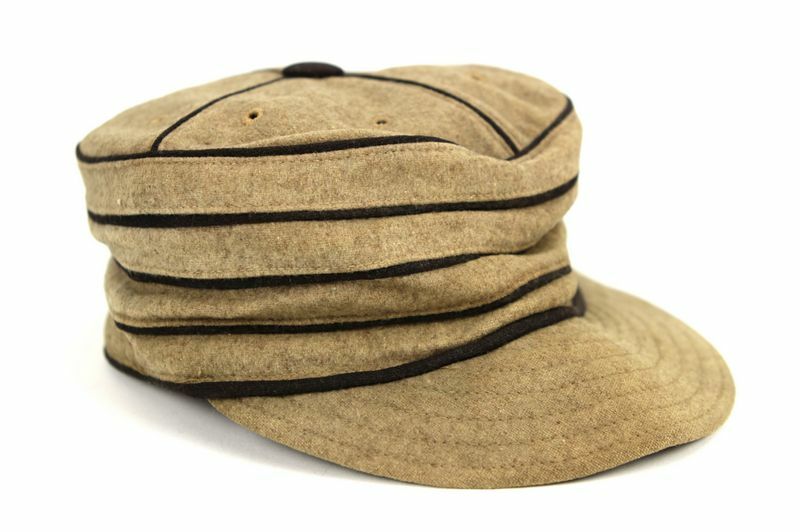 At the time these caps were actually a "throwback" to the 1880's style! Home caps appear to have been white, road caps grey. 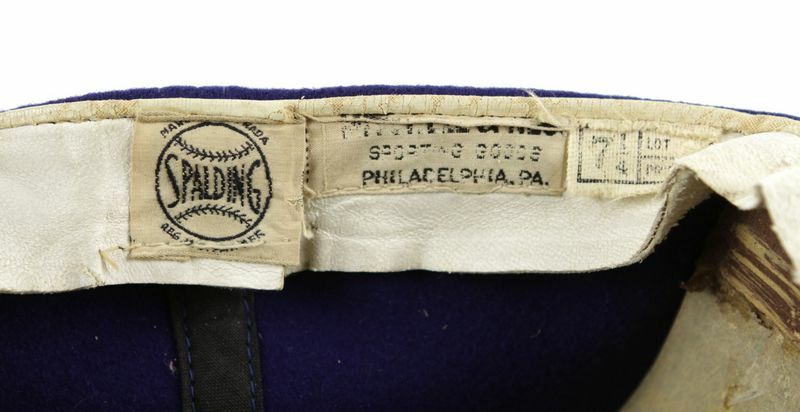 Caps have piping on the seams and no logo. 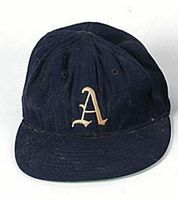 White worn at home, the away cap is navy 1917-19, white 1920, blue 1921-23, grey 1924-28. For the first time a logo appears on caps. Home caps are white, road caps grey. 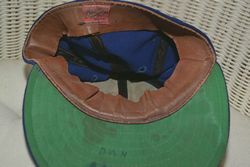 This cap is badly faded but I think it's a grey road cap. 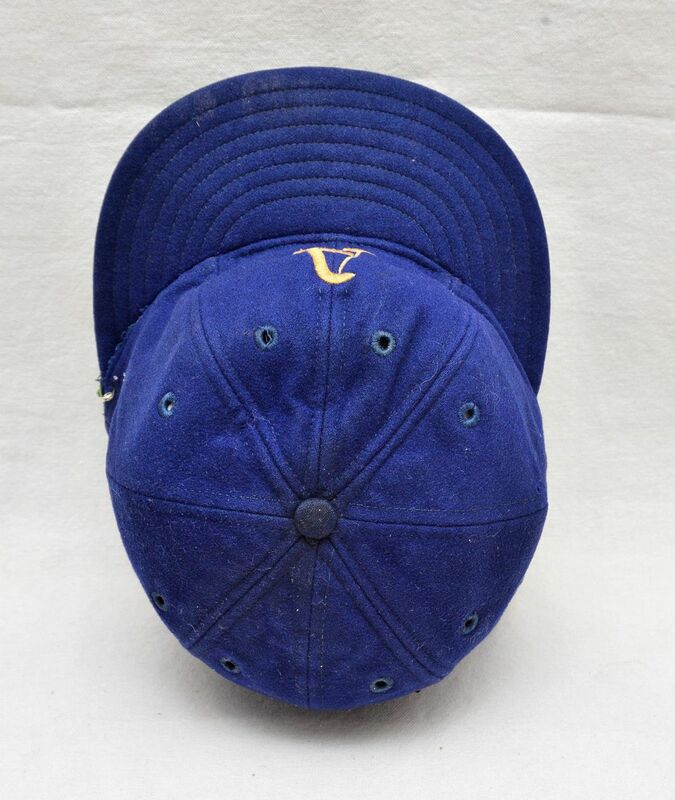 A blue road cap debuts. 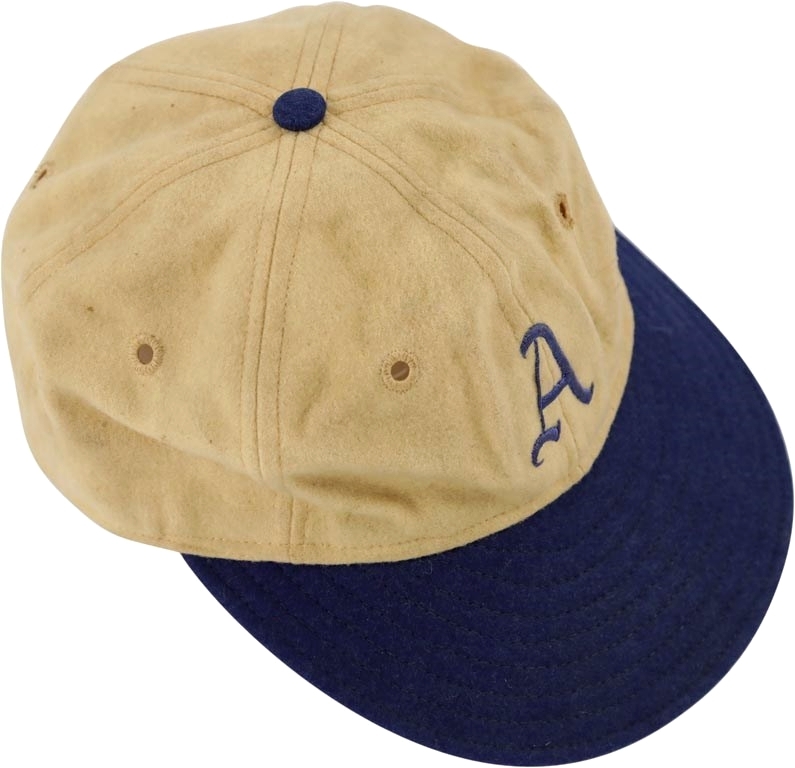 Home caps remain white. 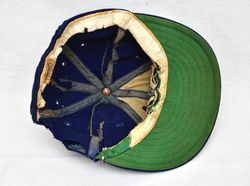 The white cap is retired. 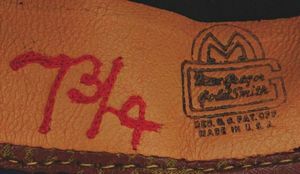 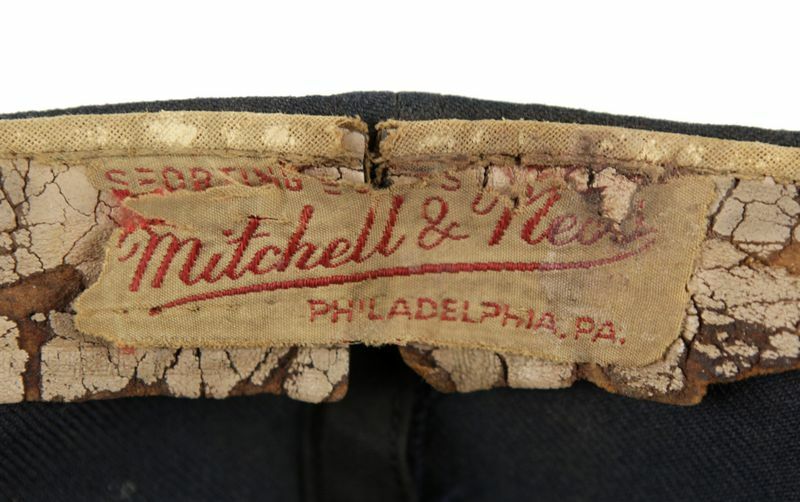 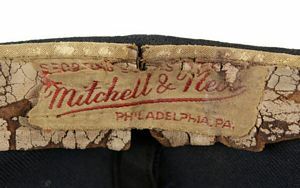 In the mid 1940's most logos become a sewn-on patch. 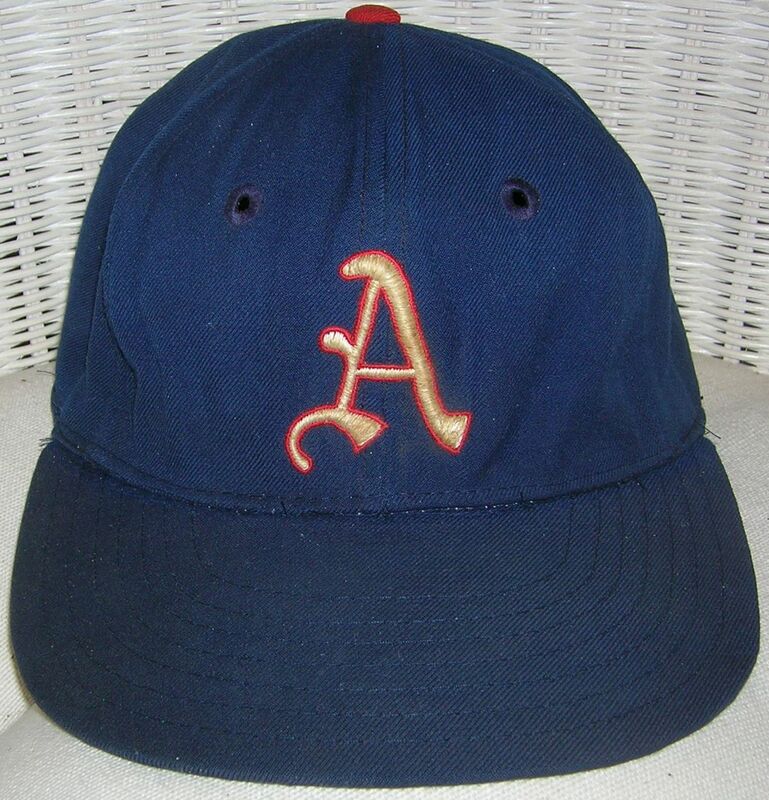 Bottom left side of the "A" is curled in more. 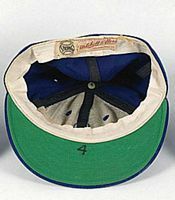 Spalding caps are made in Canada and distributed by Mitchell & Ness. 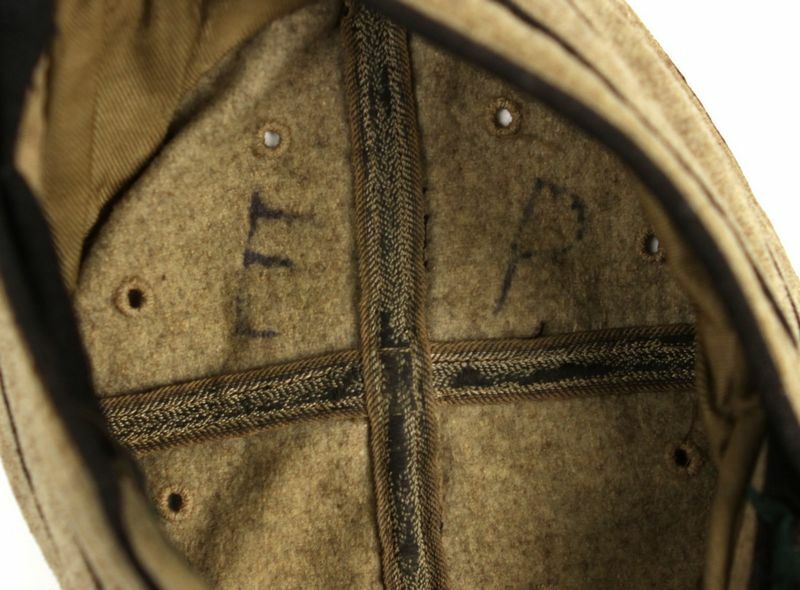 Here's an 8-panel cap, common in the mid 1940's. Back in the day distributors and manufacturers were competing hard for MLB business. 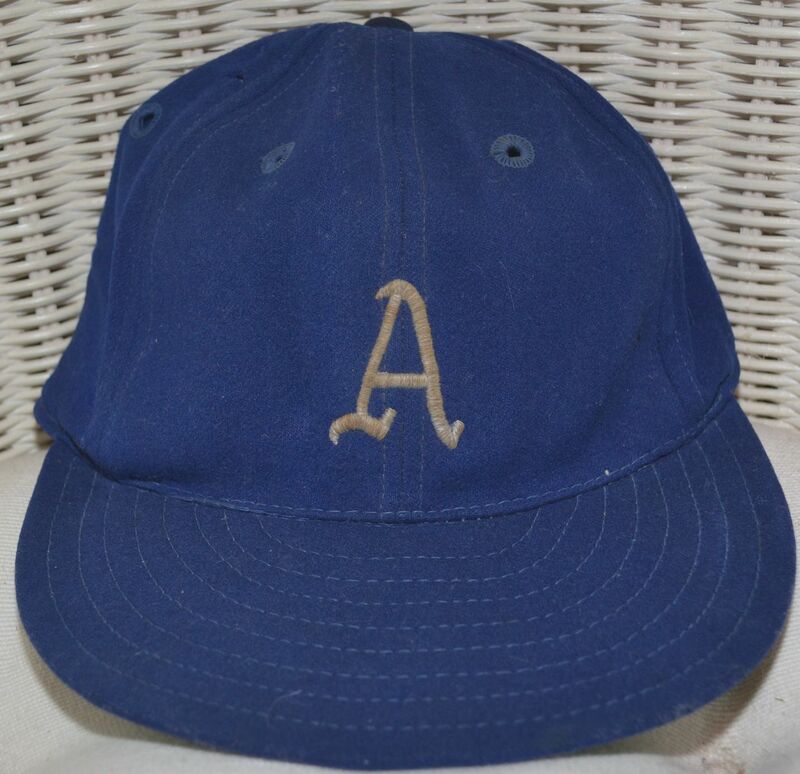 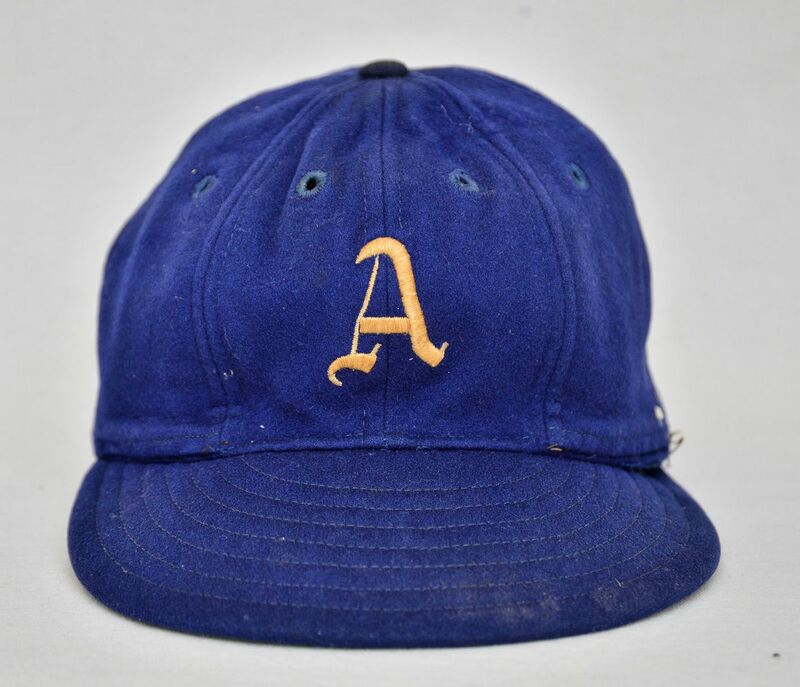 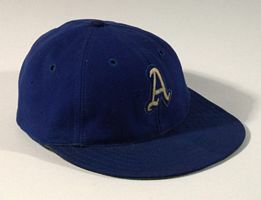 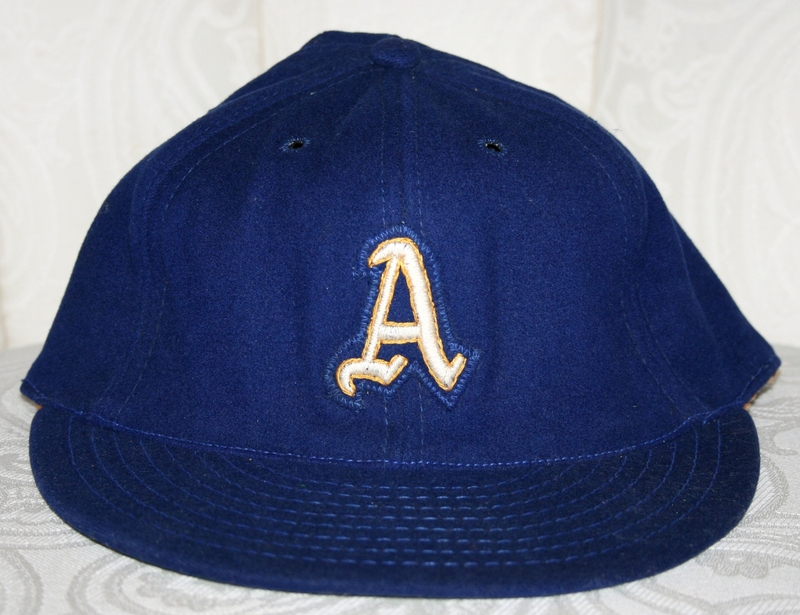 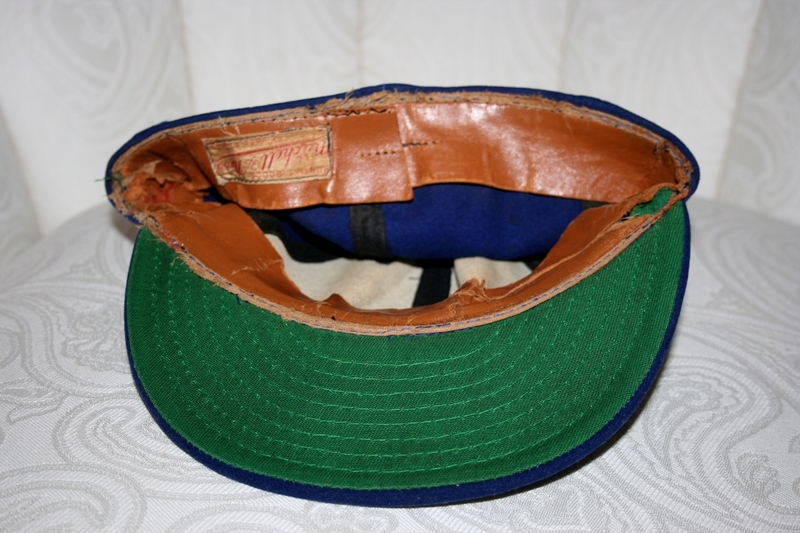 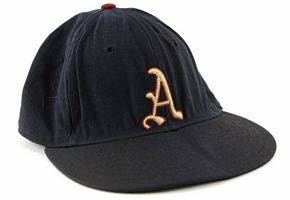 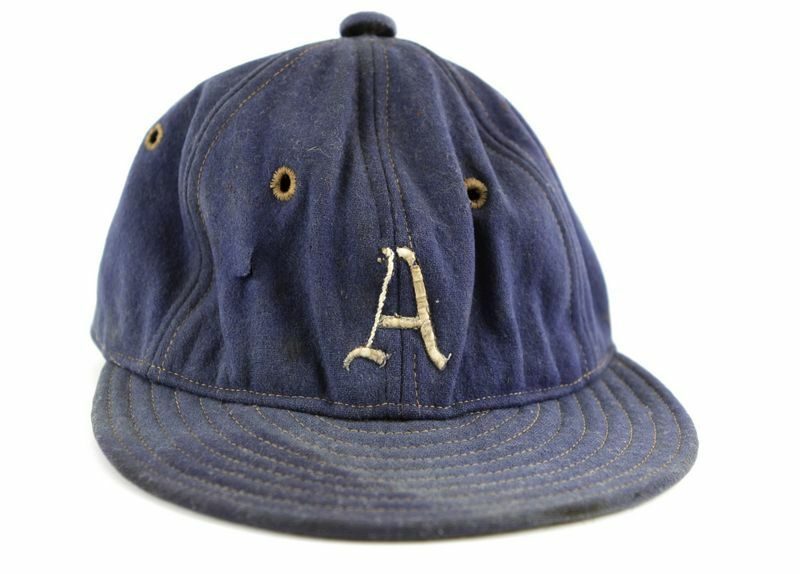 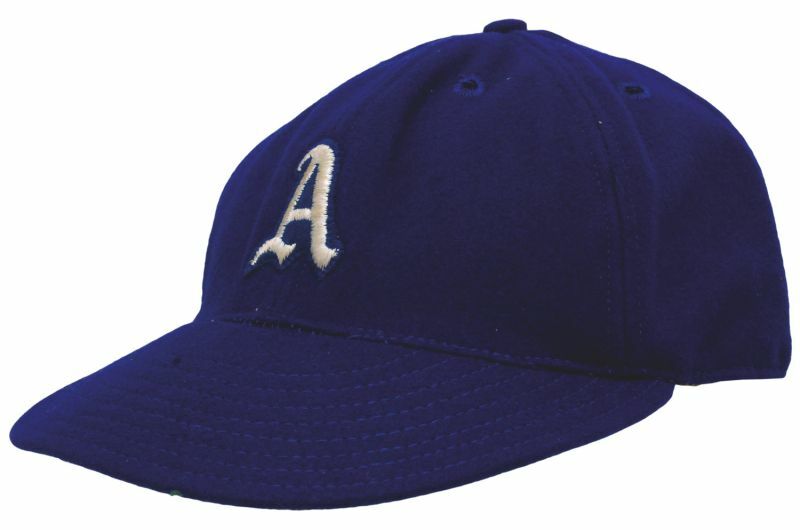 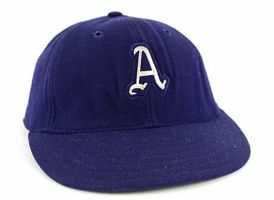 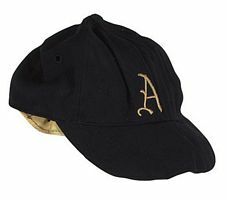 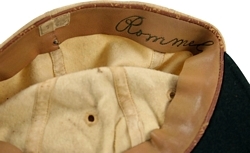 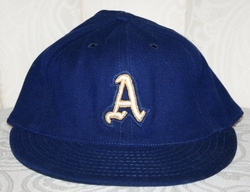 This 1949 cap is the first Rawlings A's cap I've seen, and I'm unsure if it was actually used by the team. 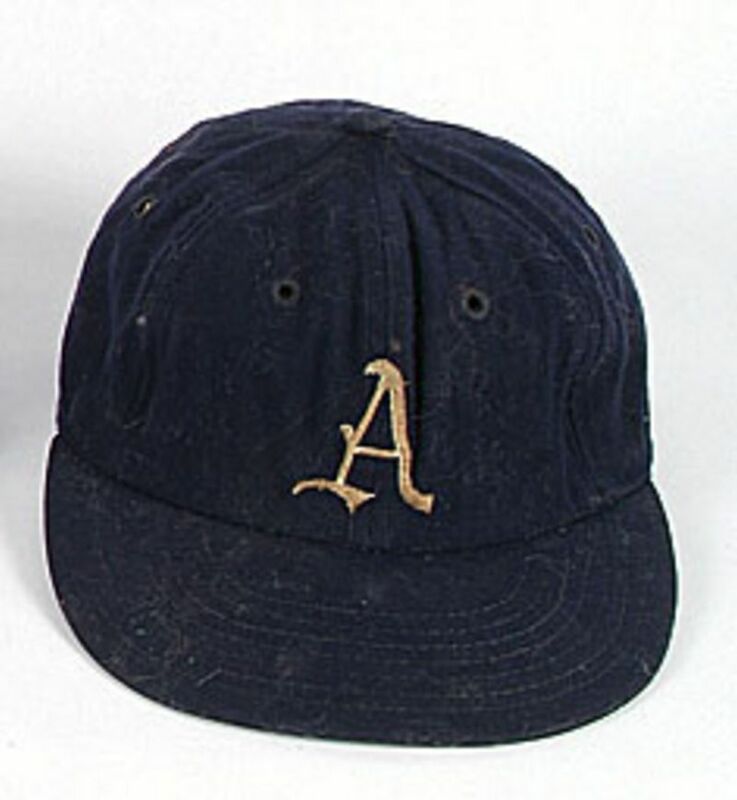 To honor 50 years of the American League and 50 year's of Connie Mack's tenure as manager the Athletics wear gold trim around the logo on the jerseys and caps. 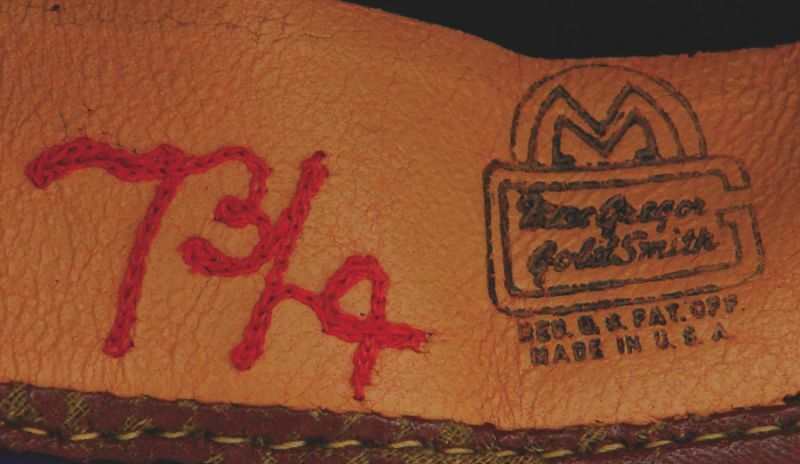 Roy and Earle Mack gain ownership control. The Athletics change from royal blue to navy, and add a second serif to the "A" insignia. 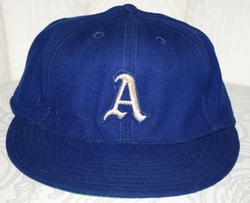 The "A" takes on many slightly different iterations. 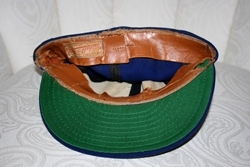 Caps were made by the Leslie Company which introduced KM Pro in 1953. For their final year in Philadelphia, drowning in red ink, the Athletics appropriately add red to the color scheme, trimming the logo in red and adding a red button.